In Togoshiginza shopping street Federation, it sets a “Let’s Make in Good manners! 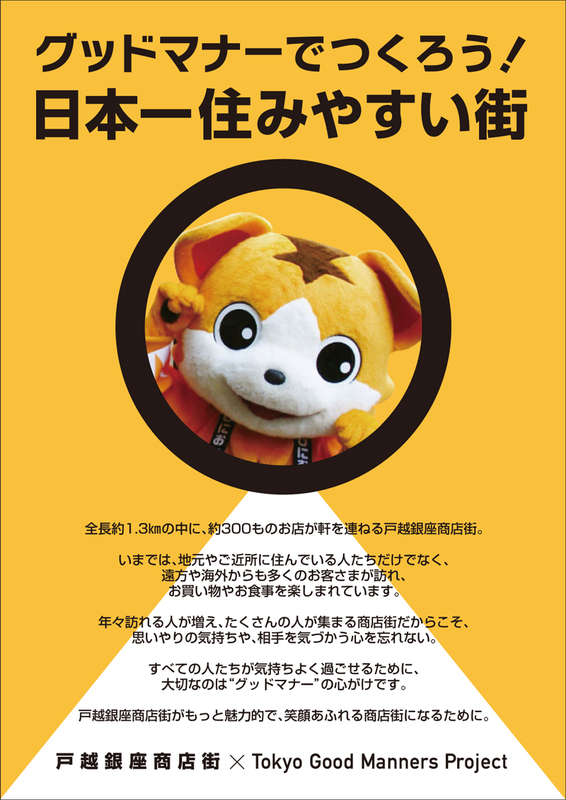 Japan livable city” in the slogan, we will implement the initiatives on a variety of manners improved in the future. Because everyone will continue to strive to spend in a pleasant shopping street, thank you a Togoshiginza shopping district in the future.